Small children are natural thrill seekers and explorers. They live for the moment and love to laugh. But what they think is perfectly reasonable behaviour is not necessarily what their parents do. Baby Bookworm is 10 months old now and on the move. He’s not interested in toys – he just wants to shove twigs and electrical cables in his mouth, empty every bookcase of its contents and hit his dad’s very expensive guitar. I think my most used word these days is “No!” – and while he definitely understands it, he doesn’t understand why I’m trying to spoil his fun. 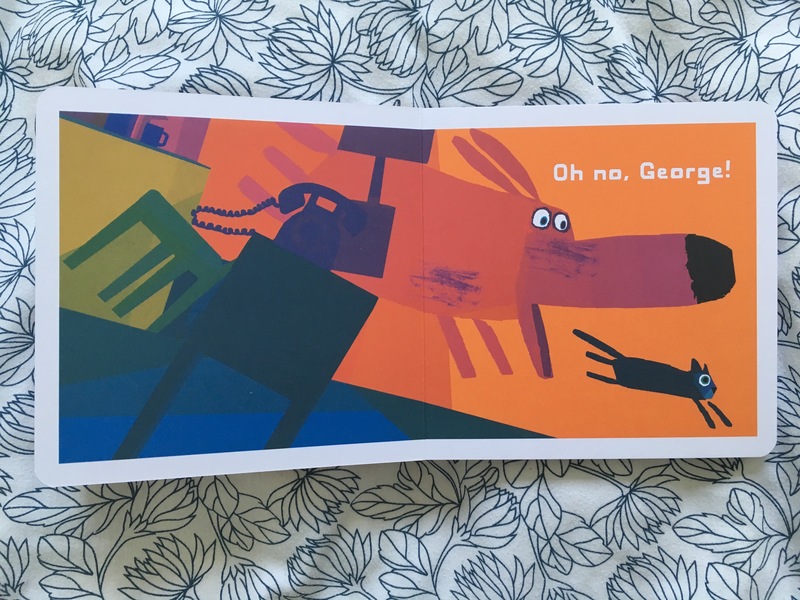 If he could talk, I think he’d have a lot of sympathy for the playful puppy protagonist of Oh No, George! 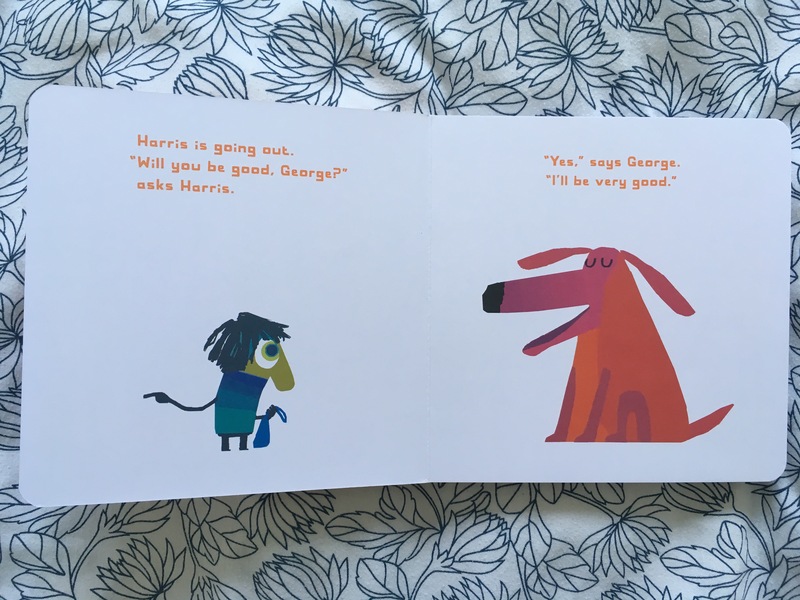 Award-winning author and illustrator Chris Haughton’s distinctive designs make this book especially eye catching for little ones. 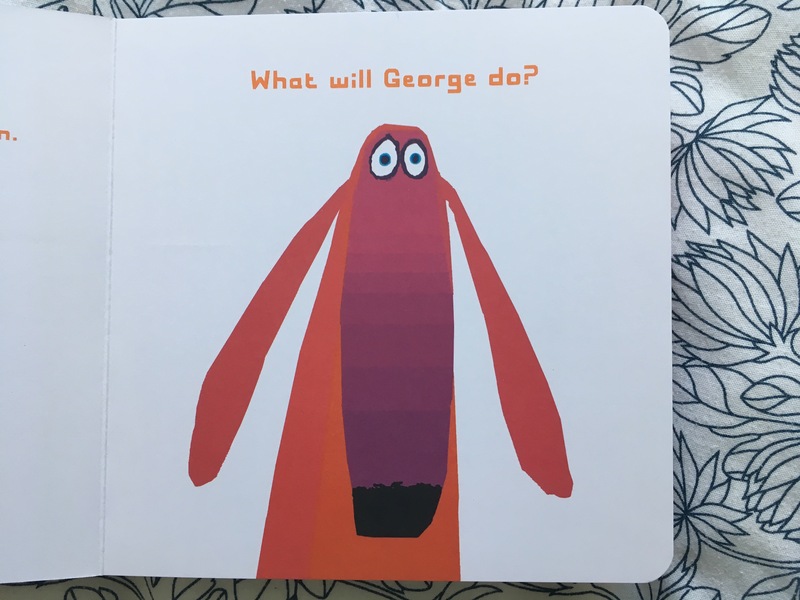 He uses a bright but limited palette in all his work and Oh No, George! is a riot of oranges, pinks and purples. You can almost see what a whirlwind of activity George is as the pictures leap from the page. It tugs at your heart strings because you know he’s not naughty, just young. You can’t beat Daddy’s special voices! 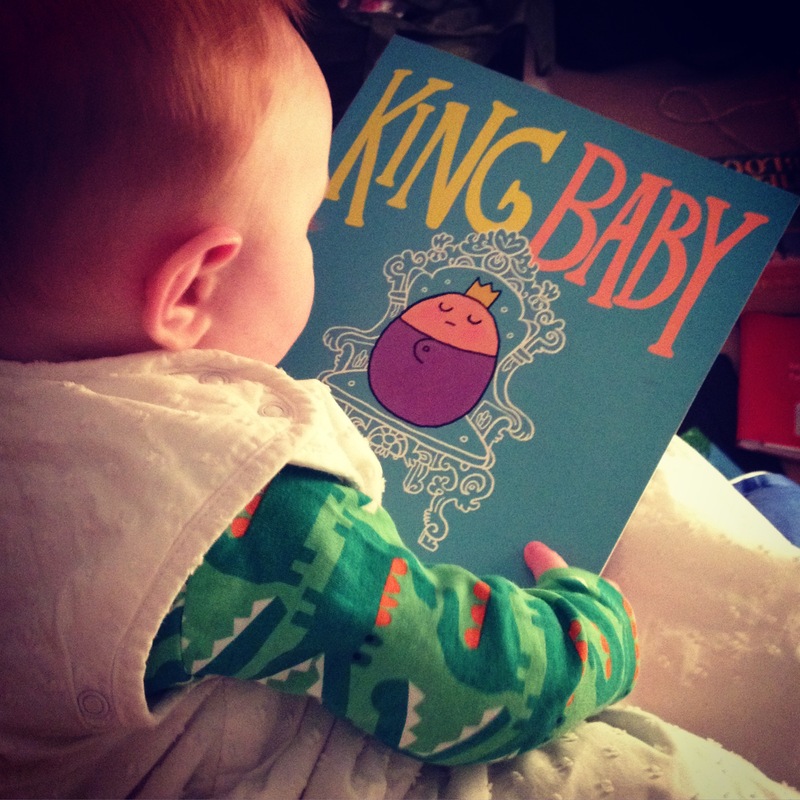 Baby Bookworm’s father has quite the array of comedy accents.